Are you from abroad or a non-resident in Barcelona? 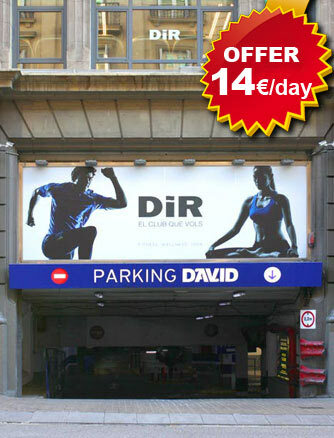 We offer cheap parking, 14€ a day as of the second day (20€ for 1 day), ideal if you’re visiting Barcelona and are looking for central, guarded, safe and convenient parking in the city centre. Our parking facilities are open 24 hours a day, 365 days a year, so you can avoid having to fit in with opening and closing times, as is the case in many other car parks, or having to leave your car in the street. We are in an excellent location in the centre of Barcelona (Aribau, Travessera de Gracia, Tuset area), which is easy to reach, only a stone’s throw from Diagonal and a 5- minute walk from Rambla Cataluña or Paseo de Gracia, very well connected by bus and underground. You can book in advance by telephone or e-mail or come directly to Aribau 230, take a ticket and explain at the control centre that you’re here for the non-resident parking offer. This offer is valid for non-residents of Barcelona booking a parking space for a minimum of 2 days or who need to park their car for just 1 day.